Here you will Learn How To Make Temporary Tattoos at home that are easy to do and fun to make with your kids. Real Tattoos are a form of body art that is made permanent via injecting ink into the outermost layers of skin. 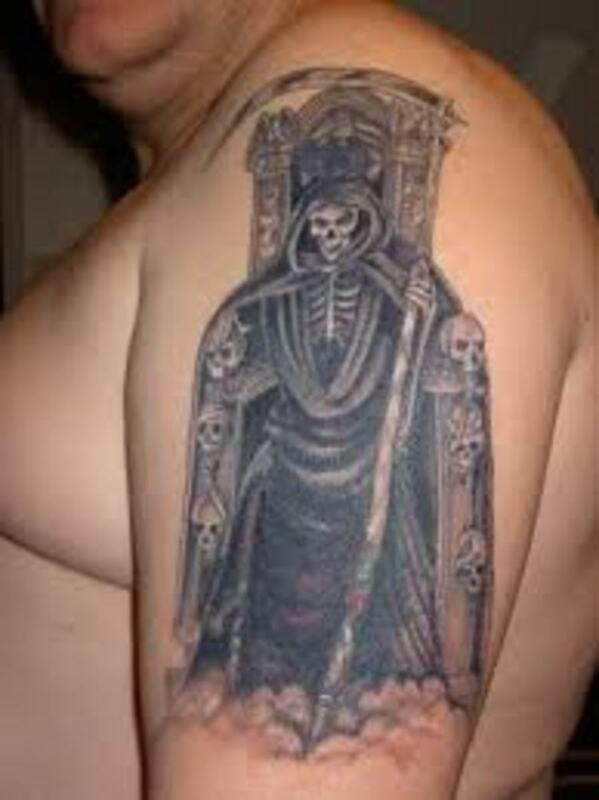 When we choose to get tattoos we are mostly to young to foresee the regret when we get older. It is true and possible to Remove Permanent Tattoos but honestly this process can be very painful and very expensive to say the least. So Rather than risking the disappointment, regret or pain attached to getting a real tattoo why not choose a safer less expensive method and Make Temporary Tattoos. Fake Tattoos are great for costume parties, special events, Holiday Seasons and they are often used as a reference before committing to getting a real Tattoo. You can Make Fake tattoos with a fine-point marker, tattoo transfer paper or even a tattoo making kit. The five youtube videos below will explain and highlight how to create and make your own temporary fake tattoos. Some will show how to draw simple designs on to your skin using Tattoo Pens such as a sharpie. Other videos will teach you how to draw designs on Transfer Tattoo Paper that are then transferable any were you chose to put it on your body. There are many techniques and mediums that will allow you to Make Your Own Fake Tattoos. Step 3. Spray your design with hairspray. Step 4. Wait a couple minutes for the hairspray to dry and test a small bit to see if the design smudges. Now you have a simple tattoo design that will last the day and wont wipe away easily. This is a simple, fun creative way to have fun with your children and a great way to express yourself going to an event, party or club. If you are anyway artistic then you should find it easy to just draw simple designs on to your own skin or your friends and family. Below are some Temporary Tattoo Products to assist you in your endeavours, if you are the more advanced artist then there is nothing to stop you in creating fantastically detailed Fake Temporary Tattoos for yourself, friends or family. Six pens with temporary tattoo ink, plus tattoo stencils. For the less artistic people whom are a complete novice at any type of art let alone Tattoo Art then there are starter Temporary Tattoo Kits that include stencils. These stencils can be placed directly on the section of skin that you want your Fake Tattoo to be visible simply filling in the stencil design with your semi permanent tattoo pen. 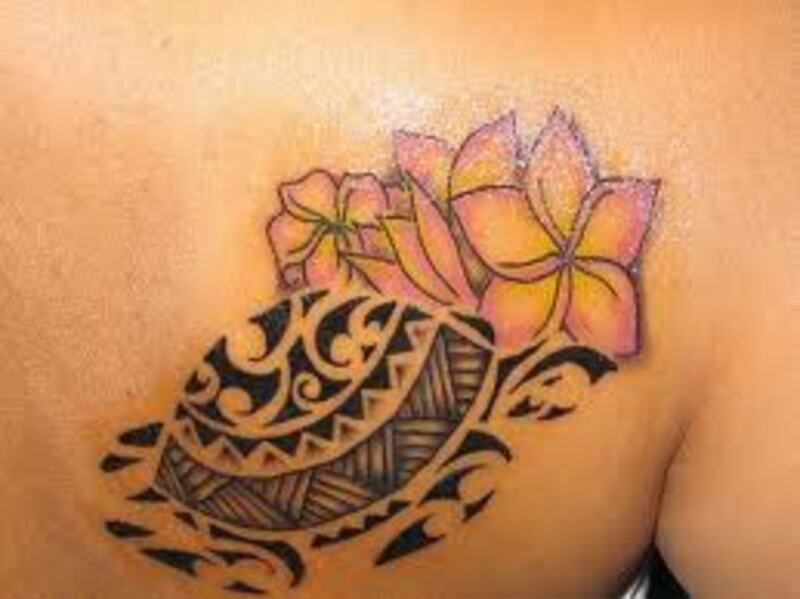 For simple tattoo designs this is the simplest, most realistic and easiest start to make. Includes 20 Temporary tattoos with 10 designs. It is also possible to draw and trace designs onto Transferable Tattoo Paper which is very cheap and easy to apply to skin, you are limited though to the simple black as you would need specialised inks for your inkjet printer and in most cases you would need a complete new printer to print out Temporary Tattoo Designs In Colour, we will offer some advice on this particular method further on so keep a look out if your interested in this Simplest Way To Make Temporary Tattoos. Making Fake Temporary Tattoos is not as hard to do if you purchase a Temporary Tattoo Kits to guide you in the right direction, The best thing is this, within these Tattoo Kits you will have everything you need to make your own Temporary Tattoos. You will have all the materials to get you started plus you will have an in depth instruction manual to guide you through each process of creating your own Fake Tattoo Design from start to finish. Glitter Temporary Tattoo PRO KIT 100 Tattoos - Waterproof Do It Yourself! You don`t need any artistic expertise to crate these tattoos as there is absolutely now drawing involved. Temporary Tattoo Kits are a great way to get a feal for certain tattoo designs you are considering to get for real or just a fun activity to get your friends and family involved in. For the more serious unemployed person, temporary tattoos could be a gateway to earning extra cash whereby offering paying clients Temporary Tattoos the options are limitless. Celebration glitter tattoos kit 60 Tattoos - Water Proof DIY! Step 1. Find a picture that you would like as a temporary tattoo or design your own picture and save it on your computer. Step 2. Edit the picture you have saved to the size that would like to have on your skin. Step 3. Place the backing paper from a sheet of self-adhesive labels into your printer and print. Step 4. Carefully cut around the picture design once you have finished printing. Step 5. Choose an area were you want the tattoo and wipe it with a glue stick. Step 6. Place the picture to the area take care not to smudge the design, press down and hold for ten minutes. Step 7. After Ten minutes slowly peel away the backing paper and you should be left with a cool temporary tattoo design. Be sure to flip your image as a mirror view before printing otherwise the design will be backwards. Henna is an old age traditional method of creating (dark red-ish) or "black temporary tattoos" Henna Temporary Tattoos are also the longest lasting tattoos that can remain on your skin for as much as 2 weeks and it will slowly fade away, rather than flaking and peeling as with the Temporary Tattoo Transfers. You can either purchase Temporary Henna Tattoos as a transfer or you can learn How To Make Your Own Henna Tattoos from home. The temporary henna tattoo kits are awesome, they have everything you need to create henna tattoos easily, even if your an absolute novice! 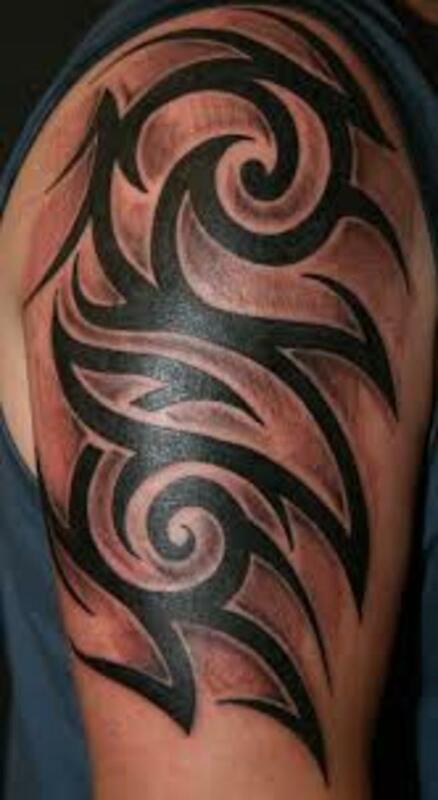 Airbrushing tattoos is a very popular medium to use to accomplish realistic professional looking temporary tattoos. You don`t have to be a professional artist to create airbrushed tattoos. You can quiet simply place an airbrush tattoo template to the skin, spray and hey presto, one airbrushed temporary tattoo. If airbrushed tattoos sounds like something you would like to do then below are our recommended airbrush kits to get you started. Would You Make Fake Tattoos With Your Children? Have You Ever Made Your Own Temporary Tattoos? - Are Temporary Fake Tattoos Easy To Make? To be honest I have designed real tattoos for people, but I'm not a fan of them, especially all over the body... visualize yourself when you get older, I have seen it and it's not a pretty picture, especially for a woman...so temporary tattoos is a great idea! Never made them but think they would be fun. This is a great alternative. Didn't know you could make your own temp tattoos. Very good article! I like the idea of temporary tattoos 'cos I'm not really big fan of permanent marks on my body, so this is a good option! Before deciding to get a permanent tattoo I think it is better to try the temporary fake tattoo first so you'll know if you are really prepared for the real one. Thanks for sharing your great ideas for temporary tattoos. Good way to test out a look before committing. Great lens! Just what I was looking for today, thanks! Great info for those who don't want to go through the pain of getting a real tattoo. I've never made them but I think it's better than getting a real tattoo. I would certainly make fake tattoos with my children if they were still young. Great idea.